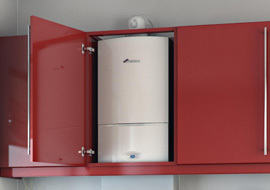 S. Bown & Co Ltd is a plumbing and heating company which was first established in 1993. Today we are a well reputed company serving Derbyshire and various other locations throughout the UK. We aim to deliver a high standard of service by using quality materials and providing quality workmanship. Our reputation has been hard earned over the years and we are proud to stand by it today. S. Bown & Co Ltd is committed to ensure complete customer satisfaction from start to finish. We have a long list of quality clients, as well as many satisfied domestic customers. Gullivers Theme Park Ltd, Urban Planters, Evans Vettorri Architects, Romake Ltd, Whitworth Projects, Kitchen Lifestyle, and Young Explorers Day Nursery just to name a few. 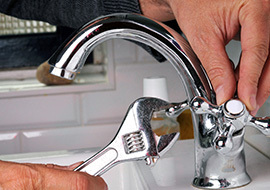 All aspects of plumbing from small repairs to full system installations. Contact us for a no obligation quote. 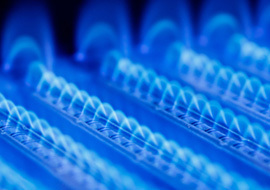 As specialist heating engineers we offer a wealth of experience to ensure a warm and efficient home. From replacement combination boilers to full modernisation and system upgrades so you can reduce your carbon footprint and energy costs. 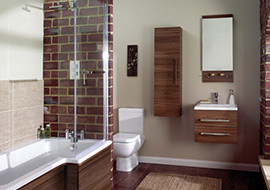 We offer design and installation of bathrooms to suit your style and we can provide a quality tiling or shower boarding service.